Home Blog Is now the Time to Buy in Spain? 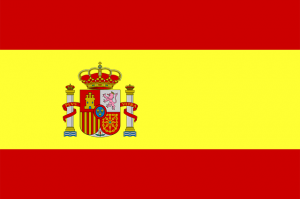 Is now the Time to Buy in Spain? Unfortunately the Spanish property market hasn’t managed to bounce back as well as our property market here in Britain. During the last five years, there have been catastrophic things happening in the Spanish market from over building to the Euro crisis. The government are now working towards rebuilding investor confidence and they are doing this by slashing prices to help reduce the amount of unsold properties as there is a vast amount. Spain was a very popular destination for buying properties amongst Britons during the real estate boom. Many bought homes for retirement and even holiday homes that they rented out during the winter months. Of course for this, these investors needed landlord insurance to make sure their properties were protected when they may not have even been in the country. The foreign investors as well as a boom in the economy in Spain encouraged builders to build more and more properties. After this kind of building for around ten years the bubble burst and these lead to the massive collapse of the property market in 2007. Stories emerged of the British who had invested their life savings into corrupt lawyers, towns planners and developers in the hope of owning their dream holiday home and were left without a property due to very unclear planning laws. While there were those who were left without a place abroad, those who had only been in the early stages and just considering to invest in Spain, they went to look elsewhere. On top of buildings that were never sold, there has also been a massive amount of repossessions during the recession from people who simply could not afford to pay their mortgage. This has left around one million properties unsold in a very weak and struggling market. In a bid to kick start the market, property prices are being slashed to hopefully draw investors in. This is extremely obvious from property websites who are selling Spanish homes. In Almeria which is situated in the south of Spain, a brand new luxury town house has been sold at the Desert Springs resort. The property boasts two bedrooms and is amongst the grounds of landscaped gardens and is situated very close to a championship golf course. It was sold for €165,000 which is around £143,000. This is an astonishing price considering this is actually just under half of what the original asking price was. Another property which had a massive discount of 85% attached to it was an apartment in the San Roque development. This is located in the Costa del Sol which is just down the road from Gibraltar. The luxury apartment was on the market for €933,913 back in 2008 when it had reached its peak. It is now on sale for €170,000 which is the equivalent of £147,000. These prices not only reflect the state the property market is in now but it also shows how inflated prices were before the collapse of the property market. Now may be the perfect time to buy a property in Spain with these kinds of discounts of what were very expensive properties in great locations. When the collapse happened, many developers also collapsed which left banks with very over priced properties and as part of the Spanish bail out, the “bad bank” had to be set up. This bank is called Sareb and it inherited €90 billion worth of properties from lenders who were in a lot of trouble. This month the bank is planning on testing the waters of the market by dramatically cutting prices to attract buyers and hopefully sell some properties. This is how the banks are trying to kick-start the market. Unfortunately the government are not making such good deals. VAT on new build properties is being increased from 4% to 10% and they are also stopping many tax breaks which they implemented. Even though they are not adding to the bargain, there are still great buys in Spain at very low prices which makes investing here very attractive to foreign investors. Those who are buying properties abroad tend to borrow against their home in the UK to raise some money however now local mortgages are becoming available in Spain with some very good deals to be had. Conti Mortgages Overseas are a broker based in Sussex and they specialise in helping Brits buy homes within the Eurozone and they have said that now it is a great time to get a local mortgages especially if you are renting to generate a Euro income. Overall if you are planning on becoming a landlord abroad, now could be the perfect time to buy in Spain although research is key. Evaluating the market and the specific location you are interested in is essential and do make sure you are properly covered so you aren’t left in hot water.